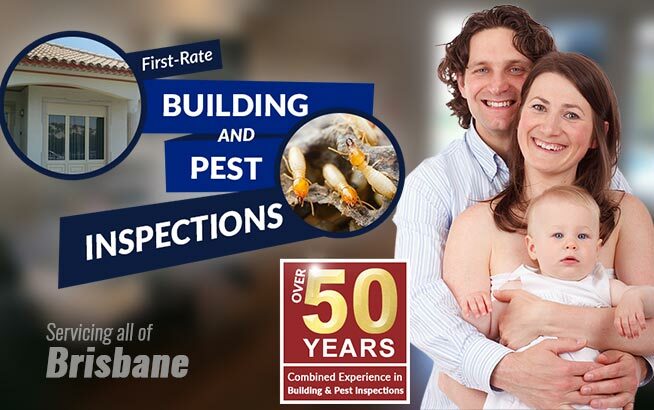 There are various types of property inspections that we offer at Twinspectors Building and Pest Inspections. 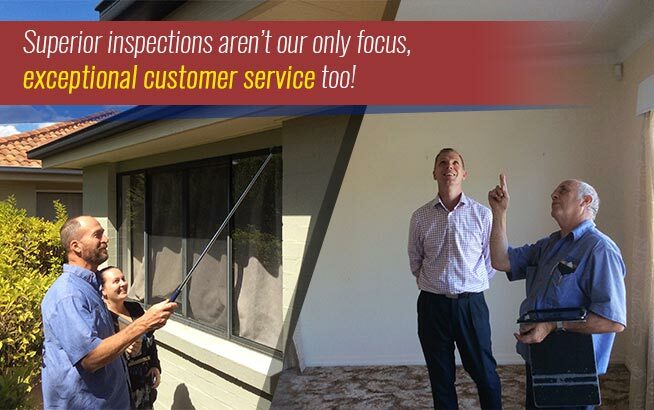 The inspection is usually requested as a pre-purchase property inspection, pre-sale inspection or simply an annual reinspection. 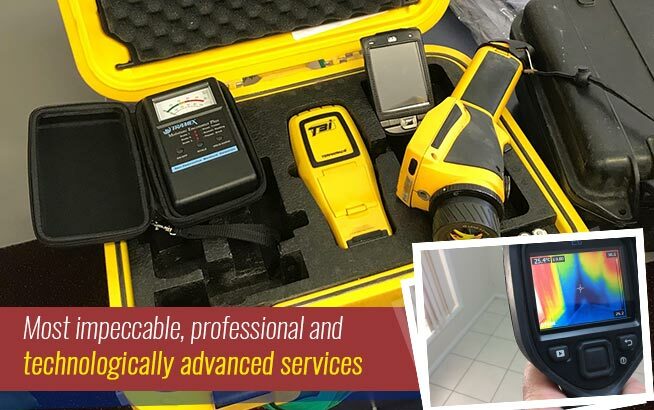 The findings of our inspectors are the highlight of the entire procedure, which is documented in detail in the after-inspection report that we provide. The report includes the general information and specific details on the condition of the accessible parts of the structure. 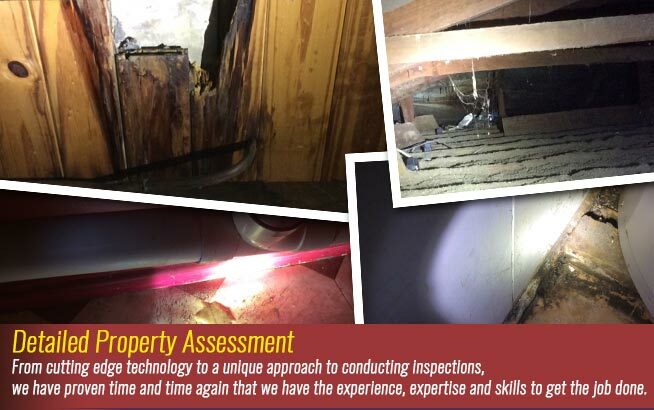 Damages and other structural conditions that could potentially lead to future problems are all noted down. Cracks on the wall can be a serious sign of hazard, and the inspection will give you an idea of the possible extent of the cracks. The cracks can either be caused by the base being unable to support the entire structure, or the movement of the ground in your property. These cracks also put your property at risk for infestation as pests can use them as entry points. Some of the common issues that we find in the bath area, but usually still remain unnoticed by residents, are cracks under the sink or around the toilet pans, damaged shower glass, leaking pipes and poor ventilation. Damages in the kitchen area can pose a significant risk to the safe habitation in your home and the health of your family, which is why we always check stoves and look for moisture damage in cabinets and leaking pipes. Damaged roofs can provide entry to water and moisture especially during the rainy season, and by then, it will be more difficult to deal with the problem. Roof voids can also become a nest for rats and other pests that seek out warm places to thrive, so an early assessment can help you avoid such problems. Not only can the under-floor space become a breeding ground for pests, but it is mostly where your structure’s foundation is built on. This means that if there are unseen damages in the subfloor space, there is a potential danger of greater damage on your structure. 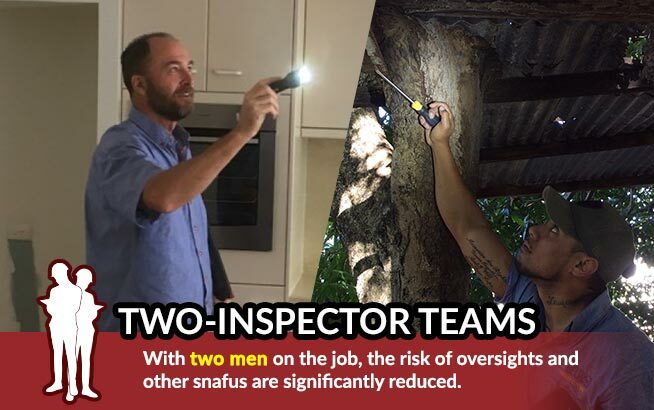 Our inspectors will look out for decaying timber foundations and bearer connections, cracked slabs and foundation walls, as well as check the installation of termite barriers, if there are any. The fence, garage and other buildings in the property will also be examined by Twinspectors Building and Pest Inspections. In addition, if your property includes a swimming pool, a limited check can also be provided by our team to ensure that you abide by the pool safety laws of the state.